The Semi-Trailer Light Set when combined with the Tractor Truck Electrical Unit Set or Multi-Function unit, allows the modeler to further enhance appearance and performance with functional blinkers and brake lights. The unit can be easily installed on the semi-trailer without any complicated wire connecting chores. Power is supplied by the truck's running battery. 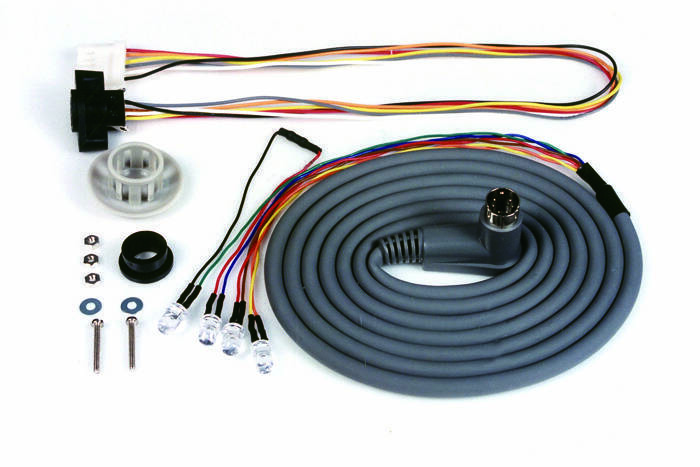 The set includes semi-trailer connector cable with light bulbs and internal circuitry board connector cable. Includes easy to understand instructions.